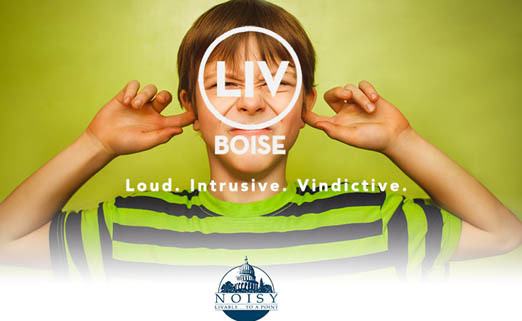 Gotta hand it to the creative folks who have used their talents to protest the F-35 noise in Boise. Here are three artistic items not likely to be approved by the Arts and History dept., Each is from a different source, sent to the GUARDIAN today. Where can we buy the first T-shirt??? Very creative. 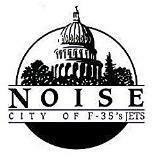 How about having a T-shirt contest, opposing F-35 in Boise. Boise the City of Afterburners! Awesome! Any of the three, with proper marketing, should kill the F-35 juggernaut. 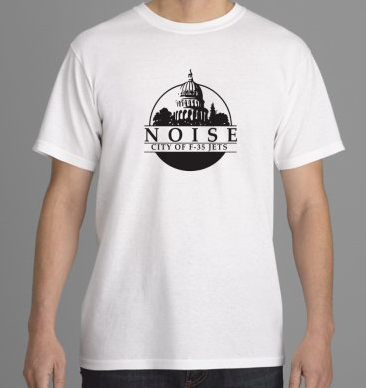 Great logo on the tee – however, I’d like to see it with a universal NO (circle/slash) on it.